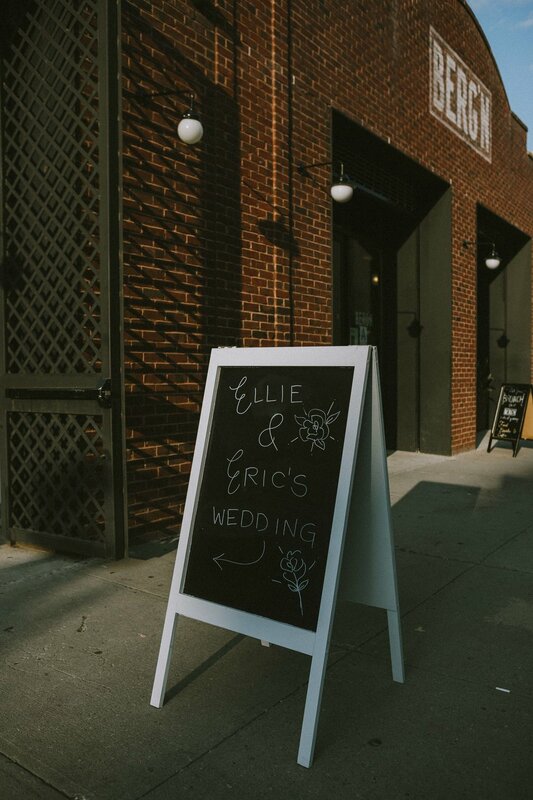 Ellie and Eric had their intimate wedding at Berg'n Brooklyn and every single detail had their own personal touch! Lots of chalk boards, tropical florals, and even a moss filled ring box. Berg'n is a super cute (and super hip) beer hall and eatery with a gorgeous courtyard hidden away from the street. 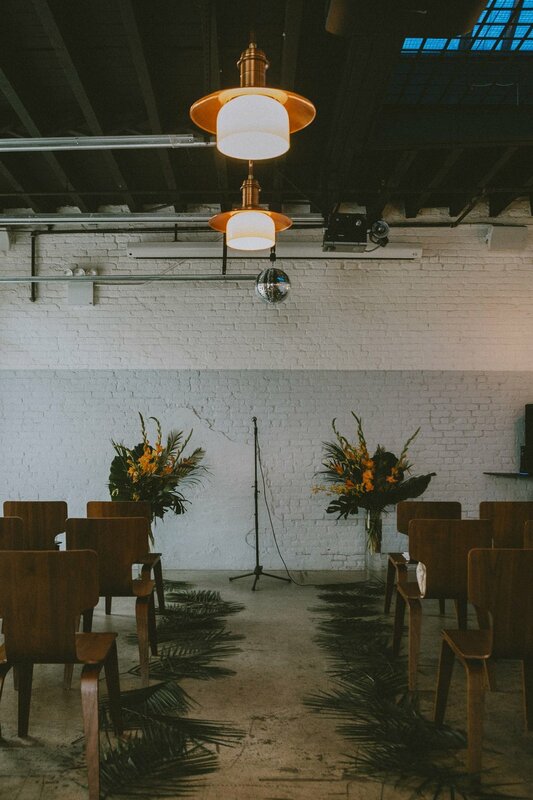 Vines trail the walls, and plants fill the corners adding to how industrial chic the whole venue is! I LOVED how elegant the palm fronds lining the isle were. Opalia Flowers really killed it elephant ear leaves mixed with such brightly colored florals. 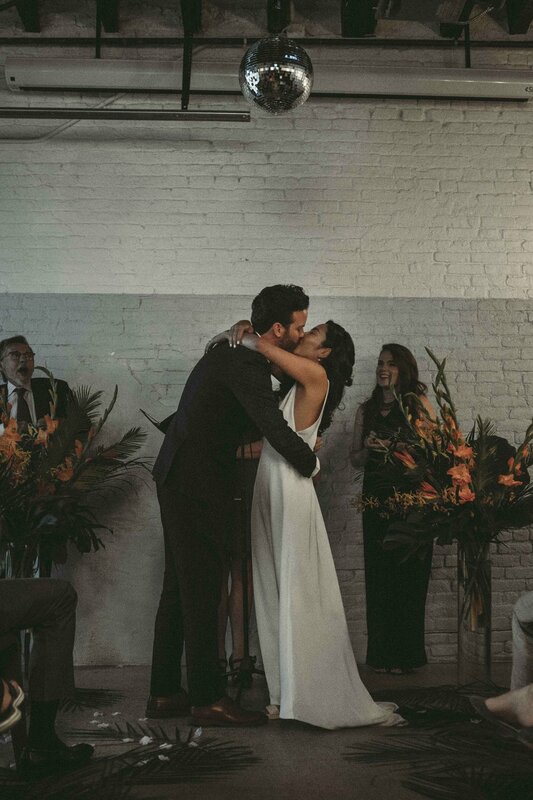 This wedding had great memory making details also. During the ceremony Ellie and Eric's friend filmed important moments with Super 8 film, and here were a couple of Polaroid cameras right next to the guest book so that each guest could take their own signature photo! Unconventional details are one of my favorite things about DIY heavy weddings! 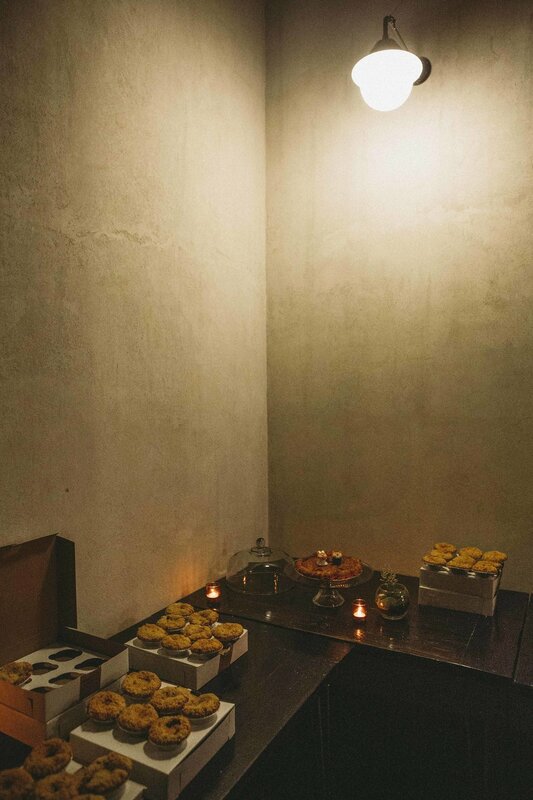 Instead of a wedding cake, these two had a very special wedding pie with little minis for every guest. More disco balls and spotlight hand puppets please!